StarCalc is the fastest professional astronomy planetarium & star mapping program for Windows 9x/ME/NT/2000/XP (StarCalc version for PocketPC computers you can found here). It illustrates star positions of any instance of the day observed from any geographic locations on the Earth. The star positions can be viewed and presented as images of semispherical whole sky or any of the user defined sub-areas. These images can be zoomed at different scales, rotated, screen-captured and printed. Also, StarCalc has many other functions of calculation and showing of sky objects. Best of all StarCalc is freeware. Extensibility: This program is based on common "Plugin StarCalc interface to catalogs and object groups", which allows program to add new modules as Plugins. These modules enable the program to use astronomy catalogs support and many others add-ons down the road or directly from other vendors. Fast performance:: extra efficient algorithms allow the program to calculate a sky image in a fraction of a second even just on very old computers. User friendliness: StarCalc has a simple interface, most operations are implemented by mouse. The program employees the WYSIWYG technology (What You See Is What You Get), which helps you to print a detailed image of any enlarged area of sky in its finest astronomical details. and especially everybody, who sent me e-mails. Without their support the new version of StarCalc would never have been materialised! Please accept my apologies for any possible errors or mistakes. It would be great if you send me an email regarding your opinion of StarCalc. 03.09.2003 StarCalc version for PocketPC is released! 23.08.2003 New plugin is added to the "Downloads" page. This plugin gives support of the USNO-A2 Star Catalog in StarCalc. Direct link to this plugin here. 09.05.2003 Important bugfix: Sun and Moon images showed slightly incorrectly - result is large time difference when Mercury or Venus transits over Sun disk. Fixed program placed to the site as new version of StarCalc (5.72) here: sc572en.zip. Also you can download only new exe-file: sc572enexe.zip. Plugins "Solar eclipses" and "Moon eclipses" also fixed. If you use these plugins, don't forget to download its new versions! 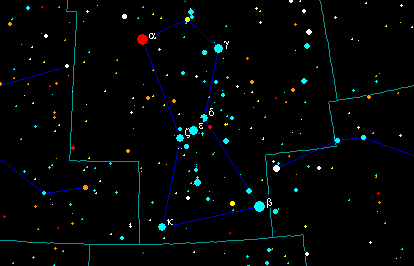 29.11.2002 Slightly updated version of StarCalc (5.71) is published. It is not full new release of the program, main purpose of this version is bugfixes (especially I recommend this version to users of Windows ME). 13.10.2002 New version of the "Asteroids and Comets" plugin (2.3). Direct file URL: orbits.zip. Also, database of asteroids and comets refreshed. 03.09.2002 New version of the "NGC 2000" plugin (2.1). Direct file URL here. 07.04.2002 New "Milky Way" plugin. Welcome to "downloads" page, "Other plugins" section. 04.02.2002 Some bugfixes in "Lunar eclipses" and "Ecliptic line" plugins - see the new versions in downloads page. 25.12.2001 New version of the program is released: StarCalc 5.7! About improvements and changes in this version you can read here.